There are numerous ways of wigging-in on other people's Tweets (we've covered some here) and, if you're that way inclined, joining in on the conversation. 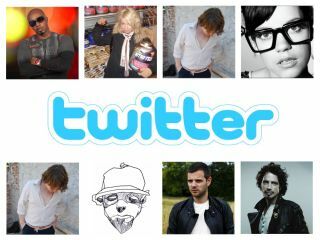 One such aggregator, We Are Hunted, have "for your amusement" (or bemusement) published a list of the most talked about artists on Twitter over the last 24 hours. Interestingly, the top four are female and, with the exception of Lady GaGa, of the 'girly-girl' variety. Fine, move over Kings Of Leon (ninth place? Pah), we're going all out on a Mariah Carey exclusive*. Power to the Tweets! *Actually, we're probably not going to do that.